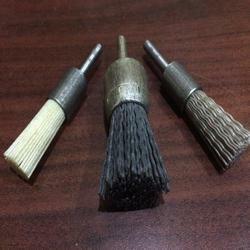 We are making all type of END WIRE Brushes. SUMO Make Wire ended shunts are compact range of shunts manufactured to class 1.5. Rating6 AMP & 7.5 AMP. 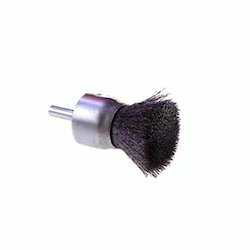 - Abrasive nylon end brushes are suitable for surface conditioning recessed areas. Works well for cross-hole deburring, blending tool marks and breaking sharp edges. - Diameters from 15mm to 35mm. End brush for Deburring and Finishing Inner Dia. or recesses of machine parts. Spot-facing drilled holes to remove burrs and edges, End brush suitable for low speed CNC machining centers and portable tools. Deburring and Finishing Inner Dia. or recesses of machine parts. Spot-facing drilled holes to remove burrs and edges, suitable for low speed CNC machining centers and portable tools.